When snow clings to trees, it gives them a fresh look. It’s a minor adjustment but goes a long way with how the trees appear. We’ve made some minor updates to improve the user experience. Adding security devices is now easier to search and find the tech you’re looking to add. We’ve also added a display icon in the remediation actions to indicate the link will open a new tab. 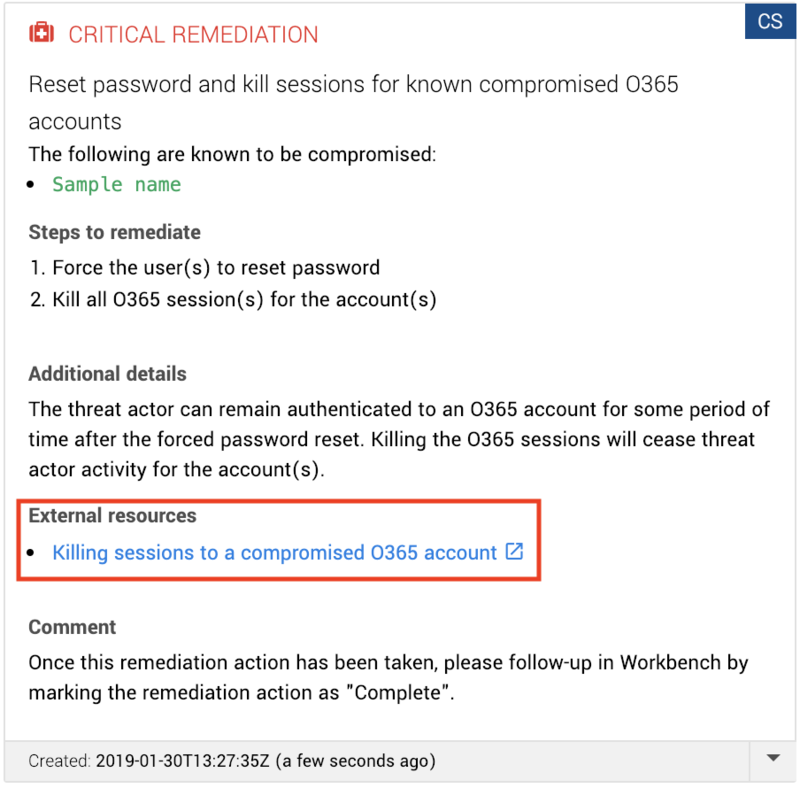 We’ve made some updates to the external links on the remediation actions to improve the appearance and set expectations for when you click the link. Now, these links display an icon to indicates the links will open in a new tab. Speaking of updates, we’ve made our “Add Security Device” modal more user-friendly. We’ve improved the organization of text fields, added a show and hide toggle button and improved label consistency. We’ve made our emails easier to skim. Now when you receive an email notification regarding your device health, it’ll be easier to determine the urgency. We’ve improved our device health notifications to indicate exactly when the issue started. Look for the “Problem Detected” line at the bottom of the Details pane. We’ve improved the data available on the Situation Report dashboard. 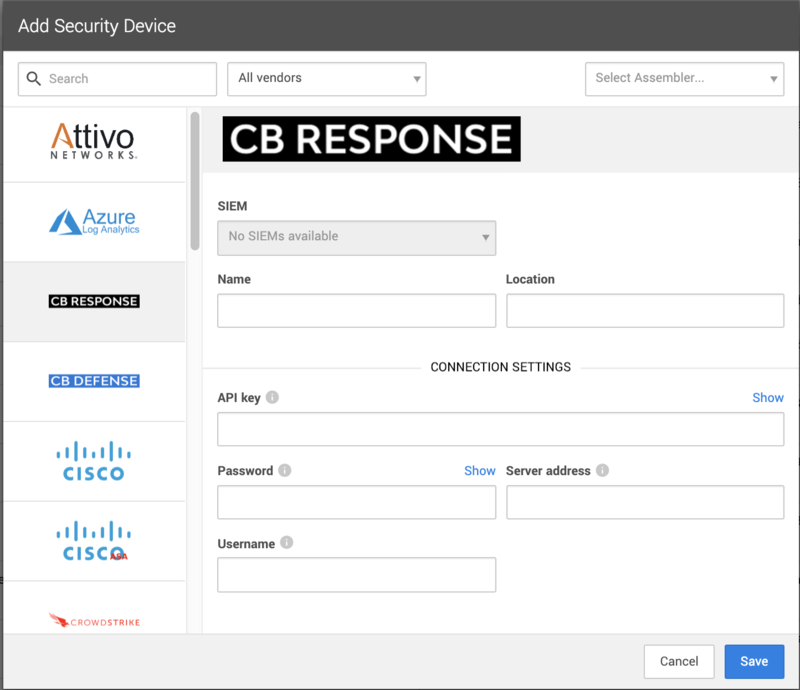 Now the Investigative Actions data in the Activity Metrics pane includes research actions and actions taken via cloud devices. Our error message in email notifications looked like an error; we’ve fixed this. We’ve improved the auto-fill functionality on our “Assign to” dropdown menus. Sometimes the correlated Expel alerts have very long vendor alert names that take up too much room on the Alert Detail pane. We truncated these names now and provided an icon to expand them as needed. We made updates to the service naming on the Organization Settings page. The names now map to how it appears on your contract. We’ve alphabetized capabilities from the “New investigative action” dropdown menu to better organize selection options. Oops! We sent some notifications that didn’t include all the details. If you’re subscribed to “Action completed” notifications they’ll now include the “Outcome” field, for reals. No permissions? No problem. If your profile doesn’t have permissions to configure a ticketing integration, then we won’t lead you on. We used to, and we’re sorry. Peekaboo! Our findings containers on Incidents appeared to be playing hide & seek with our users. Add more than five findings, and you won’t see what we mean … because it’s fixed now. We fixed an issue in the Pivots tab on the Alert Detail where some data was not wrapping correctly. We squashed a bug that was tampering with the Assembler health label color. The Alert Analysis dashboard had an issue where the expanded details did not always display, that has now been fixed. If your organization is subscribed to Slack notifications for Assembler and Security Device health revel in the new easy to read copy. But then go tend to your device issues because we need them healthy.